In this bold contribution to contemporary feminist theory, Sonia Saldívar-Hull argues for a feminism that transcends national borders and ethnic identities. Grounding her work in an analysis of the novels and short stories of three Chicana writers--Gloria Anzaldúa, Sandra Cisneros, and Helena María Viramontes--Saldívar-Hull examines a range of Chicana feminist writing from several disciplines, which she collects under the term "feminism on the border." By comparing and defining literary and national borders, she presents the voices of these and other Chicana writers in order to show their connection to feminist literature and to women of color in the United States. This book provides one of the most comprehensive accounts of Chicana feminist writing available. Saldívar-Hull draws on contemporary literary and post-colonial theory, as well as her own autobiography, or testimonio, to help her define "feminism on the border." Successfully uniting theory with lived social experience, she delineates many of the internal processes that must be acknowledged in order to access larger transnational and geopolitical literary movements. This book thus joins a body of scholarship within feminist theory, working at the intersection of identity politics and political praxis. 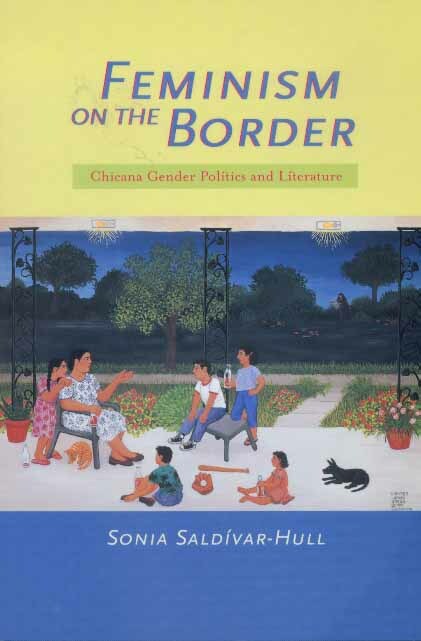 Saldívar-Hull's close readings of Chicana literary texts are informed by a comparative and cross-cultural perspective that enables her to forge links to a geopolitical feminist literary movement that unites ethnic identity to global solidarity. Sonia Saldívar-Hull is Associate Professor of English at the University of California, Los Angeles. "This is a major critical claim for the sociohistorical contextualization of Chicanas who are subject to processes of colonization--our conditions of existence. Through a reading of Anzaldua, Cisneros and Viramontes, Saldívar-Hull asks us to consider how the subalternized text speaks, how and why it is muted? How do testimonio, autobiography and history give shape to the literary where embodied wholeness may be possible. It is a critical de-centering of American Studies and Mexican Studies as usual, as she traces our cross(ed) genealogies, situated on the borders." —Norma Alarcon, Professor of Ethnic Studies, University of California, Berkeley.